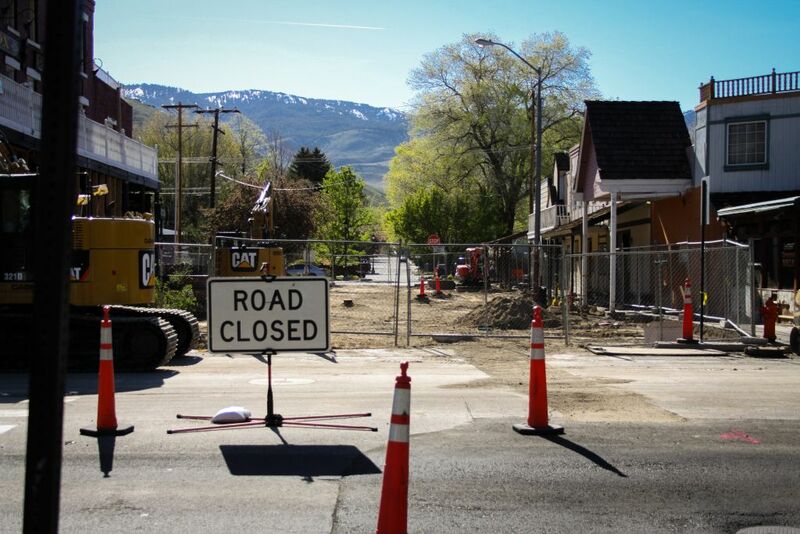 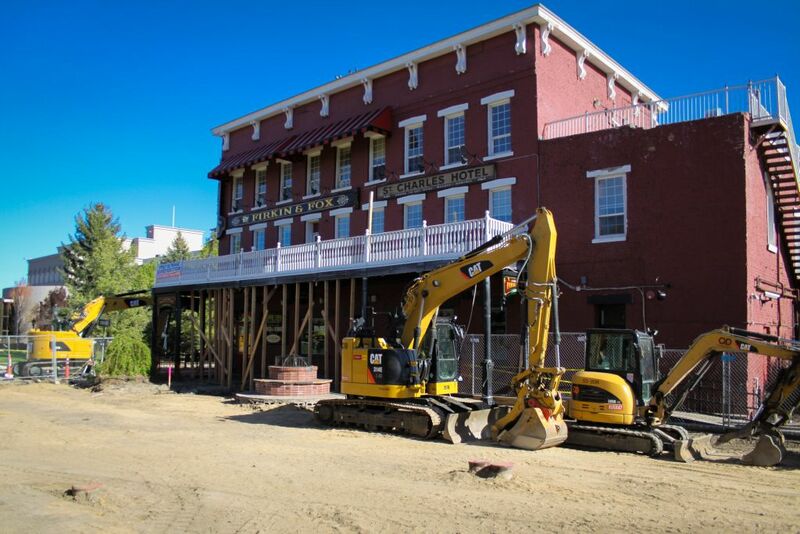 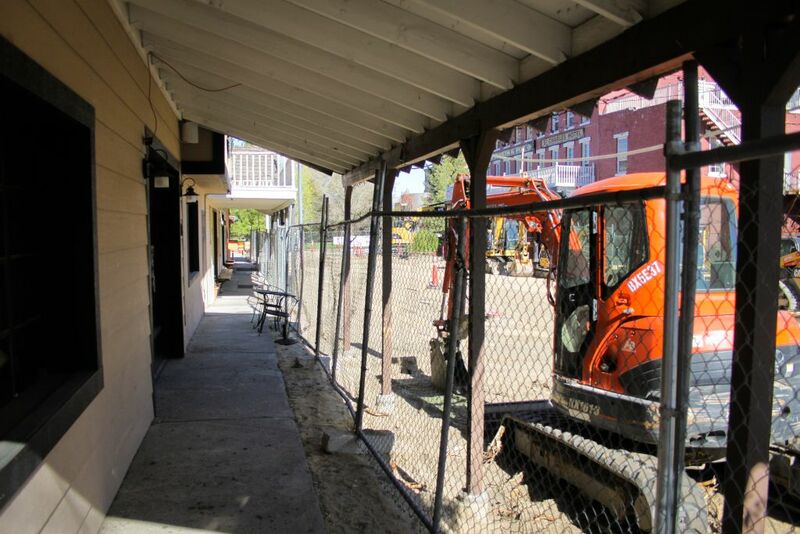 The reworking of Carson Street isn’t the only construction going on downtown this summer. 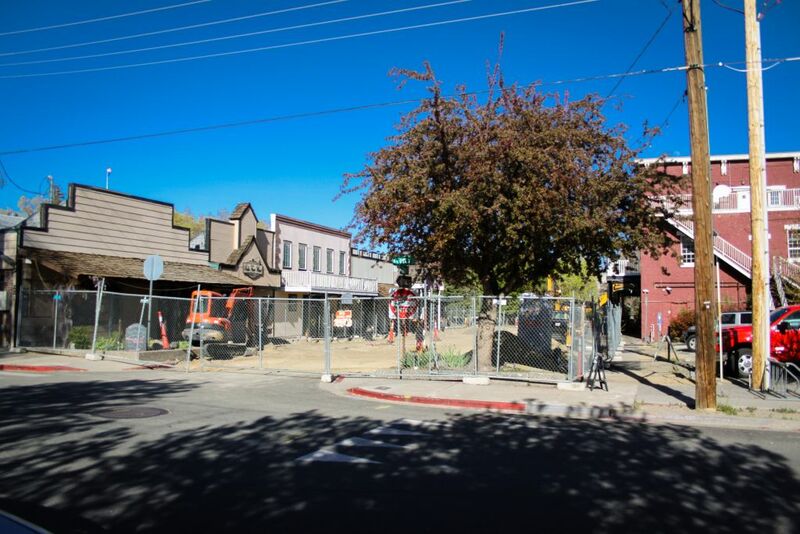 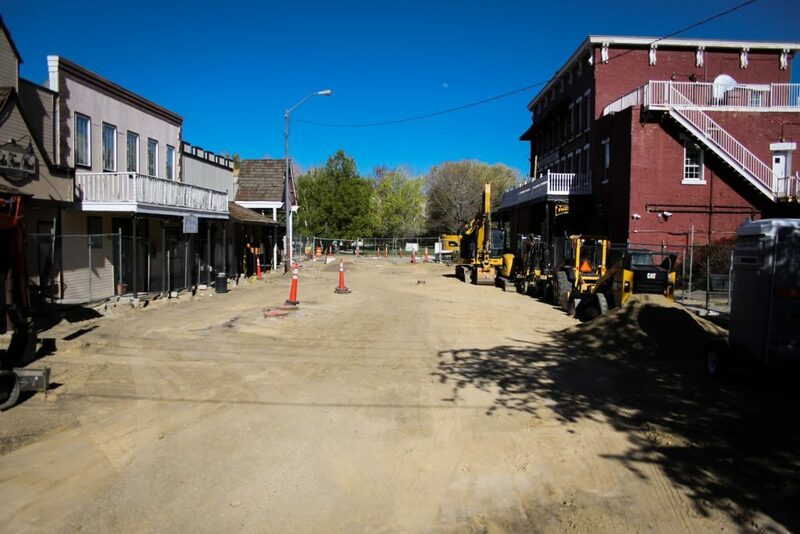 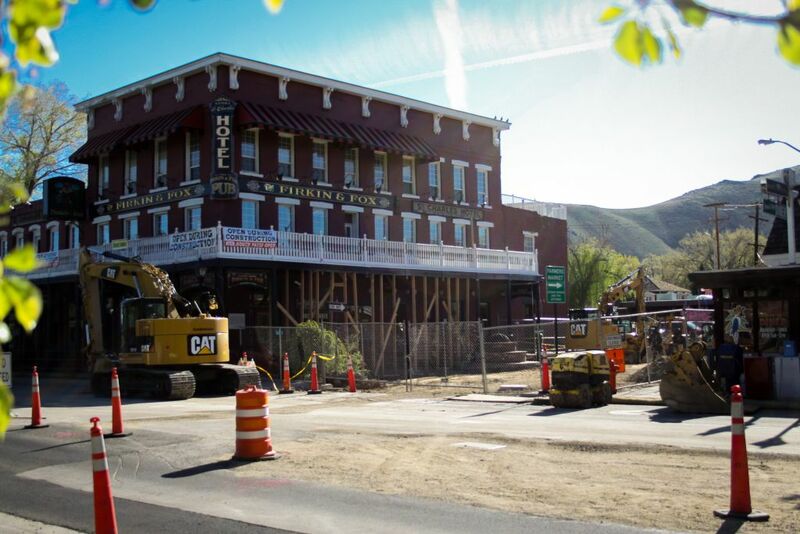 In a connected project, Third Street has been torn up between Carson and Curry Streets and is being replaced with a public plaza. 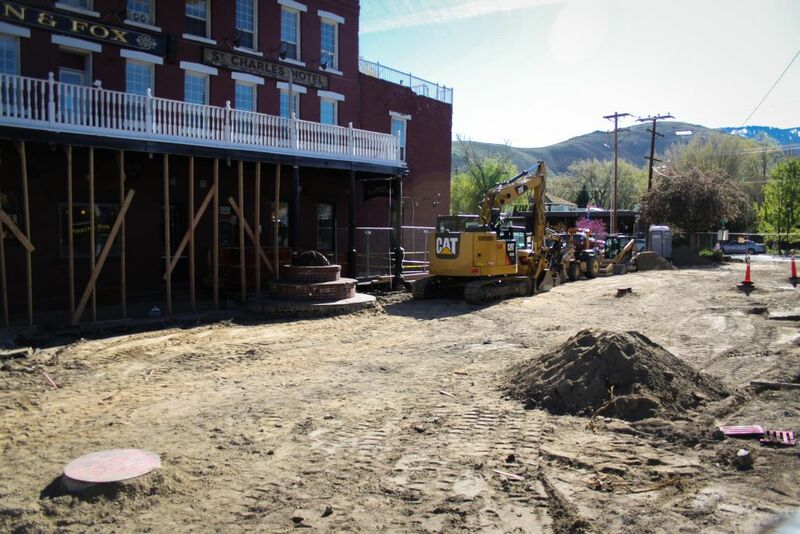 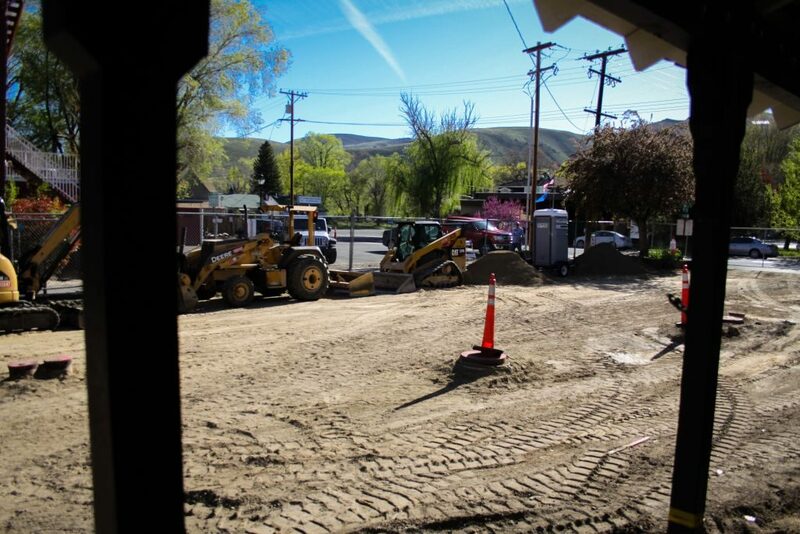 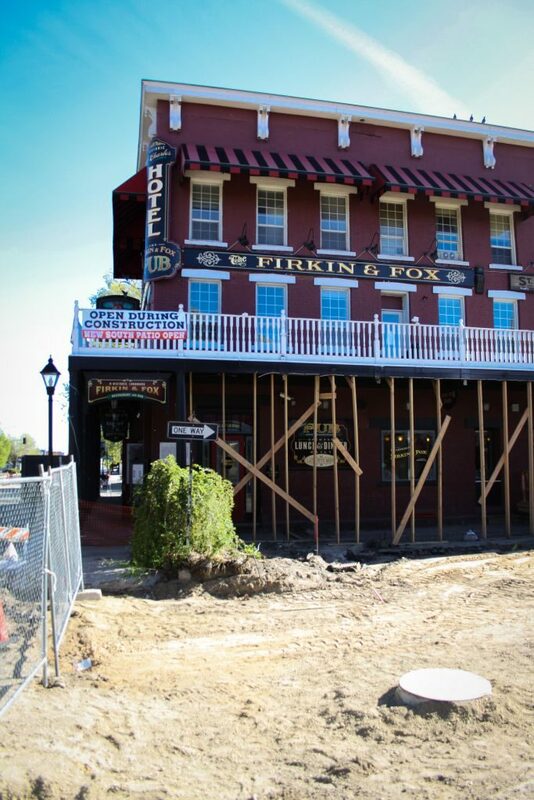 Not only has the road been removed, but so has the outdoor seating patio for Firkin and Fox. 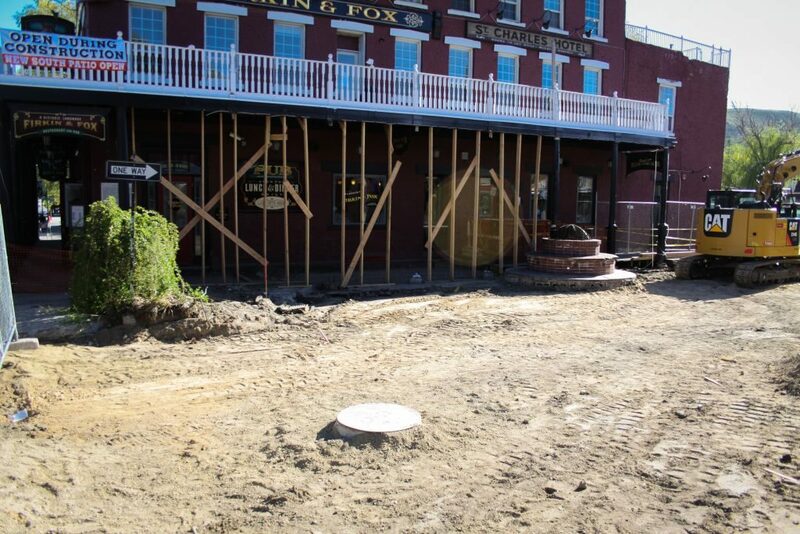 With it went the support poles for the balcony, so a temporary framework has been built to hold it up.